Pixelman is a software package for data acquisition and control of semiconductor pixel device Medipix2. It supports all available devices of Medipix2 family (Medipix 2.1, Medipix2 MXR, Timepix, Medipix 2.1 Quad, Medipix2 MXR Quad) and two interface types (MUROS and USB). Pixelman can be for evaluation purposes freely downloaded here. Pixelman license is provided with Medipix USB interface or can be purchased separately. Pixelman license is given to all Medipix2 and Medipix3 members for free. Technical support is available here (for licensed users). Medipix USB interface serves for Medipix2 data readout and acquisition control. 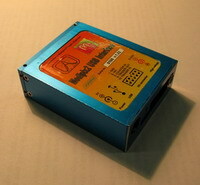 It was designed with accent to maximum flexibility and portability. The interface can be controlled by Pixelman software. Currently distributed version. 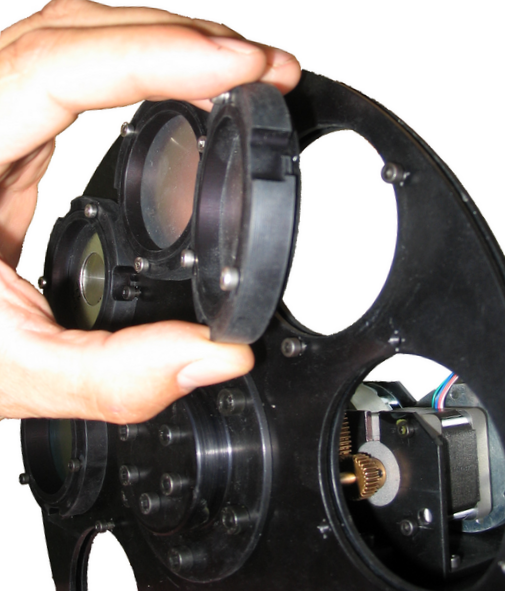 Full support of TimePix with selectable clock frequency (10, 20, 40 and 80 MHz), spectroscopic module integrated. FPGA driven, USB2.0 interface. Supports all chips (Medipix2, Timepix, Medipix3). Uses serial interface allowing 90 frames per second (for single chip). FPGA driven, USB2.0 interface. Supports all chips (Medipix2, Timepix, Medipix3). Uses serial or parallel interface allowing 850 frames per second (for single chip). Price depends on membership in international Medipix2 and Medipix3 collaborations. Please, indicate your status in the purchase order. RASPix is very universal solution of radiation camera with excellent connectivity and portability. 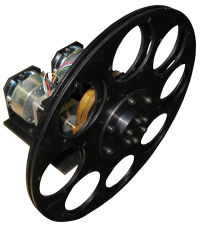 The system consists of RASPix interface with speed of up to 15 frames per second and single Timepix radiation imaging detector with sensor according to customer preference (standardly 300 µm thick silicon). The system can be extended attaching further Timepix layers forming a particle tracker or multilayer imager. 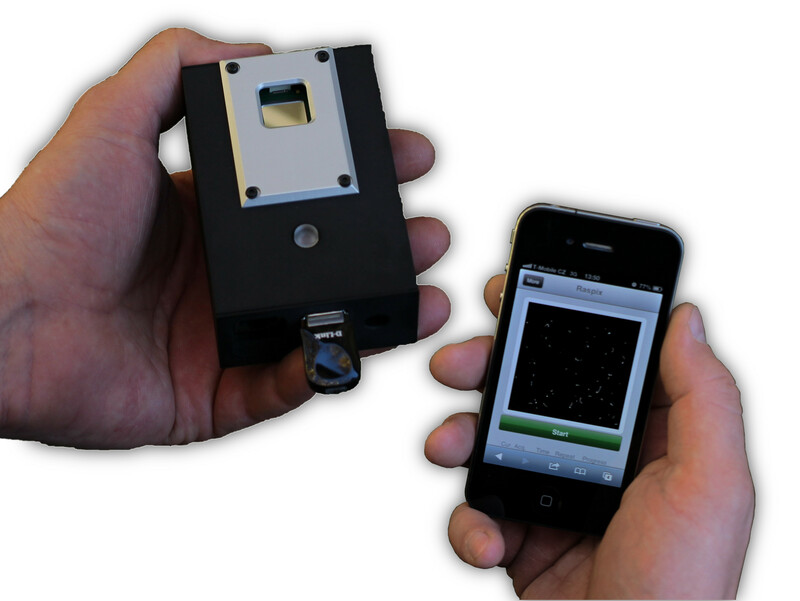 The system can be used in imaging applications (e.g. X-ray or neutron imaging) as well as for radiation monitoring where its ability to recognize individual particles, sort them to several basic groups (X-rays, electrons, alphas etc.) and measure their energies is utilized with great advantage. If more than single detector layer is used then also direction of particles can be determined. The RASPix device is controlled and data are read-out via 100 Mbit Ethernet cable or via Wi-Fi connection. It can work either fully autonomously in "stand-alone mode" being remotely controlled via internet. The functioning is configured via web based interface from any internet enabled device equipped with web browser including tablets or smartphones. The measured data are stored either locally (SSD card, USB flash drive) or remotely to network drive of external data server. The data can be downloaded using built-in FTP server. The device can be operated also locally in combination with personal computer equipped with Pixelman software (MS-Windows, Linux, MAC-OS). 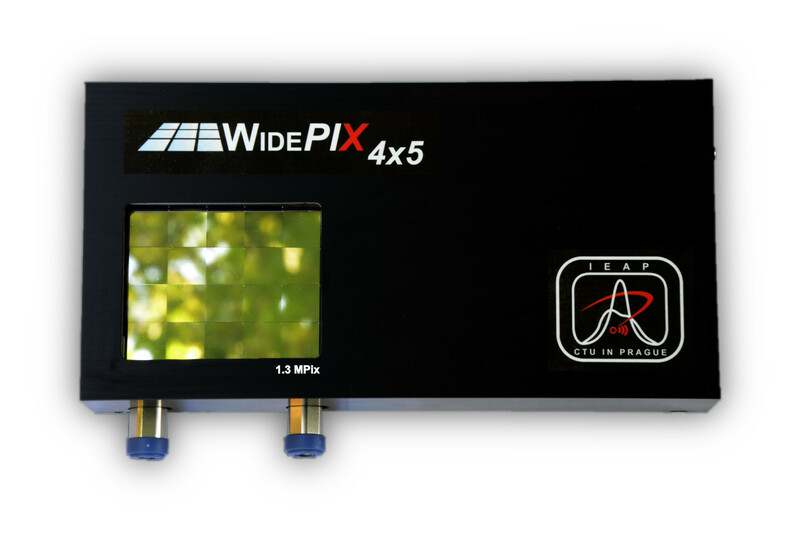 The large area imaging detector WIDEPix 4x5 with resolution of 1280x1024 pixels (1.3 Mpixels) and continuously sensitive area is composed of a matrix of sensitive detector tiles. Each tile consists of single Timepix hybrid detector (256 x 256 pixels) with edgeless silicon sensor. Thus the whole area of the WIDEPix device is fully sensitive. Each pixel has integrated digital counter which counts number of particles (e.g. X-ray photons). This particle counting principle assures noiseless detection and no added noise (integration and readout noise is zero). The noiseless detection allows getting images with very high contrast and broad dynamic range (theoretically unlimited). Therefore even low mass objects (e.g. plastic or soft tissue) are imaged with high contrast. 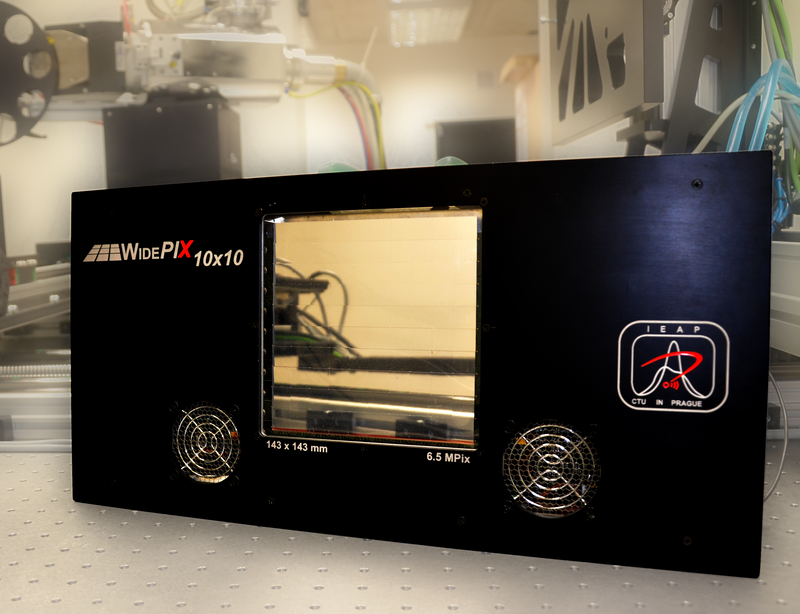 The world largest single particle counting radiation imaging detector WIDEPix10x10 with resolution of 2560x2560 pixels (6.5 Mpixels) and continuously sensitive area is composed of a matrix of sensitive detector tiles. Each tile consists of single Timepix hybrid detector (256 x 256 pixels) with edgeless silicon sensor. Thus the whole area of the WIDEPix device is fully sensitive. Each pixel has integrated digital counter which counts number of particles (e.g. X-ray photons). The particle counting principle assures noiseless registration of particles without added noise (integration and readout noise is zero). The noiseless image formation allows getting images with very high contrast and broad dynamic range (theoretically unlimited). Therefore even structure of low mass objects (e.g. plastic or soft tissue) is imaged with high contrast. In the field of X-ray radiography the image quality can be significantly improved by a beam hardening correction procedure especially if used in combination with pixel detectors of Medipix family. Two disk Filter Revolver is employed for calibration phase of beam hardening correction procedure. 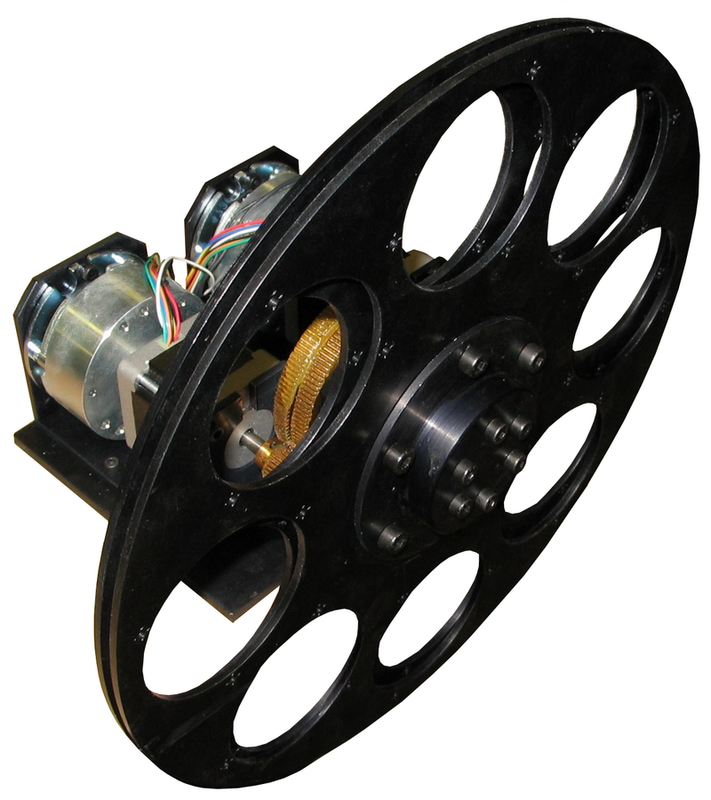 Each disk can be equipped by 7 calibrators so 49 combinations is possible. Calibrators are fixed in exchangeable holders with bayonet mechanism. Positioning of the filters is driven by stepper motors with electromagnetic brake using SMCU-7 and can be controlled directly from Pixelman software.